Gardening and growing your own food is a treasured hobby of many, acting as a great stress reliever and being very satisfying – especially when you get to eat fruit and vegetables you’ve grown yourself! Here at WeBuyBooks, we’re big fans of the more natural, environmentally friendly kind of gardening – “organic gardening” to be more specific… and we love to buy books about organic gardening too! Selling Organic Gardening books for cash with WeBuyBooks! 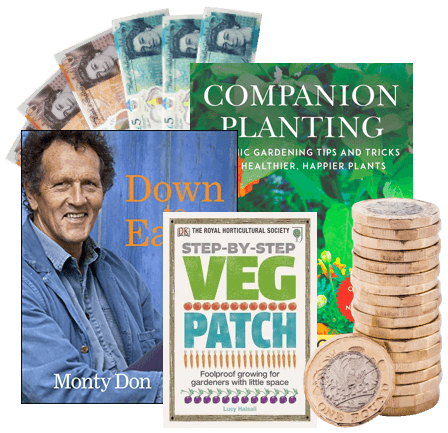 So, if you’re a green-fingered individual with plenty of experience and who no longer needs to consult books, if you’re having a big clear-out and need to relieve a buckling bookshelf of some pressure, or if you just want to make some extra pennies… why not exchange your organic gardening books for cash with us? Sell used Organic Gardening Books on the go with our mobile app! It transforms your phone’s camera into a clever scanning device, meaning you can get valuations for your used organic gardening books whenever and wherever. So, even if you’ve got piles and piles of used organic gardening books to sell, it won’t take you long to swap them for cash! 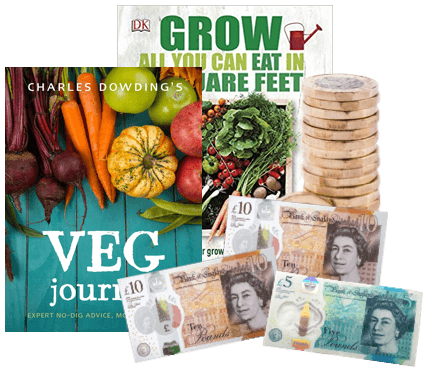 How do I sell my Organic Gardening books for cash? With our swift selling process, you won’t have to drag yourself away from the garden for long! The New Organic Grower, Salad Leaves for All Seasons, or No Dig Organic Home & Garden… whichever organic gardening books you no longer need, simply enter the ISBN or barcode of your items into our selling basket, get an instant valuation, package your items, and then get paid! The money will be in your bank the day after we’ve checked your items, so you can buy new gardening goodies sooner than you may think. Sell Organic Gardening books whenever and wherever with our app! 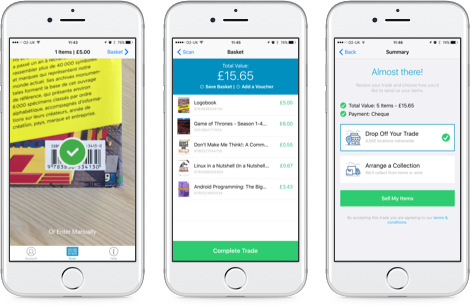 With our handy app, you can even sell your used organic gardening books from the garden itself… as long as you’ve got an internet connection! 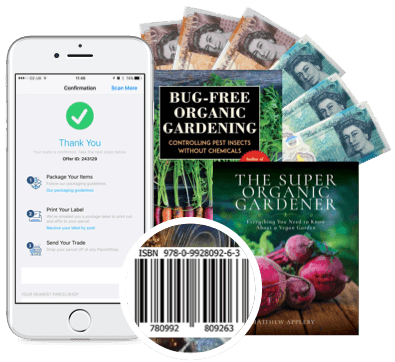 The app turns your phone camera into a clever scanning device, meaning you can get instant valuations for your gardening books from the comfort of your veggie patch. Send your Organic Gardening Books, DVDs, games and CDs to us and we’ll send you some money. Less clutter at home and more money – what’s not to love about that? So don’t wait – sell online today with We Buy Books. If you’d like some extra help, then please don’t hesitate to get in touch. Just give us a call on 01706 248281.